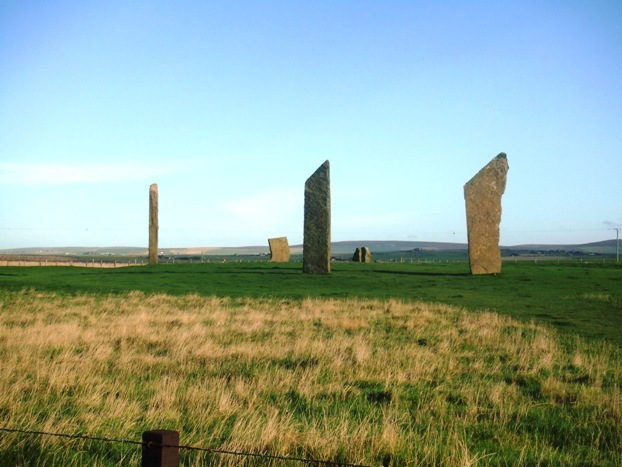 Short and long day tours of Orkney feature the best-known archaeological sites such as Skara Brae, the Ring of Brogar, Standing Stones of Stenness, Maes Howe and the Italian Chapel. The coach route from Burwick crosses all the Churchill barriers constructed by Italian prisoners during the Second World War to link the southern isles (South Ronaldsay and Burray) to the Mainland of Orkney. The main intention of the concrete causeway was to block entry by German submarines into Scapa Flow, the Royal Navy's northern anchorage. Along with the southern isles and the Mainland of Orkney there are a dozen or so inhabited islands and scores of rocky islets that are homes to seals, birds and isolated flocks of sheep. 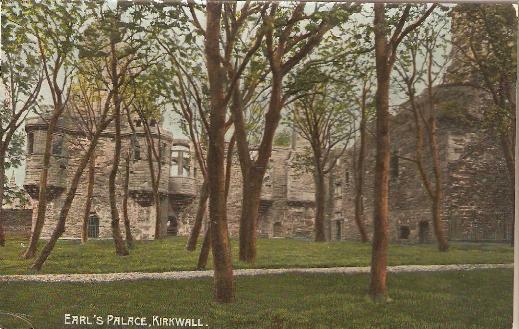 Today, most Orcadians live on the Mainland and increasingly cluster around Kirkwall and the other large communities where the full benefits of modern life are readily available. On the outer isles. particularly to the north, life is more fragile and dependent on ferries and airlinks. Most of these islands - such as Stronsay, Eday, Sanday, Westray, Rousay and Egilsay - have experienced considerable depopulation over the last century. 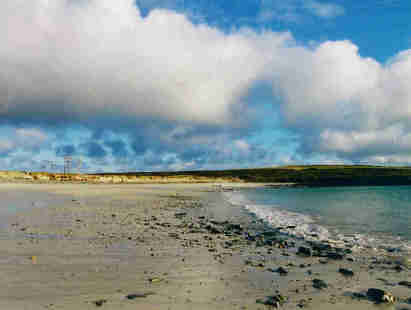 But there are signs of rejuvenation, for example Papa Westray (one of the smallest isles) has maintained its population in recent years as incomers from the South have been attracted by the quality of island life, its natural beauty and the oldest standing settlement in North West Europe at the Knap of Howar. Most visitors to Orkney arrive in the summer months, particularly June to September. Placed as they are between the Atlantic Ocean and the North Sea, no time of year is immune from fog banks, strong winds and rain. Visiting Orkney is always a matter of 'pot luck', although the summer months obviously are more likely to offer good weather. Conversely, there can be some superb days out of season. Unfortunately, travel writers rarely visit at these times and being southerners (just about everywhere is south of Orkney), their prejudices are often clearly visible. Most seem convinced that there is scarcely any daylight in winter and that the islanders batten down hatches outside the tourist season to withstand nine months of bombardment from the weather. Not so.